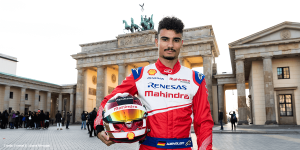 The eMobility innovators of Kreisel Electric have moved from high power batteries and super fast electric vehicle conversions of all kinds into ultra fast-charging. Their charging station Chimero includes a buffer battery and delivers 160 kW without bringing down the grid. Kreisel Electric of Austria has long made a name in industry circles with their products pushing boundaries. Take the electrified Porsche 910 for example or the electric speed boat or, on a more utilitarian note, the electric firetruck the three brothers had launched this April. 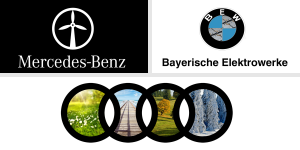 Apart from conversions, the core of their business is high power batteries for which they built a factory named 3K in northern Austria with a capacity of 800,000 kWh annually. 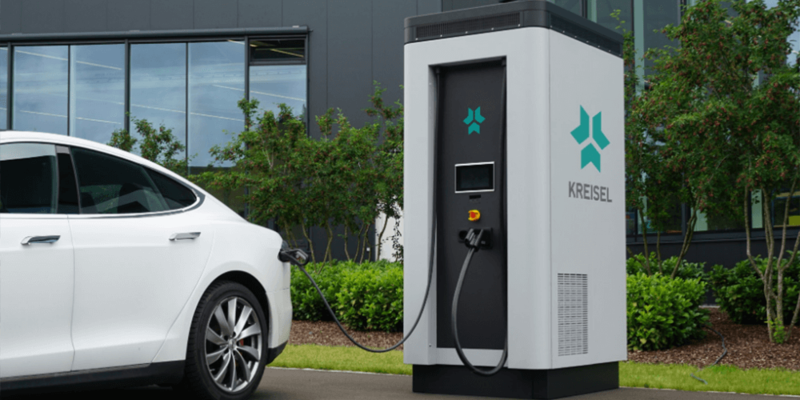 So it was only a matter of time until Kreisel would complete their electric transport product range with fast charging equipment. We first reported those plans in 2016 when Kreisel was aiming to provide 200 kW in 2017. 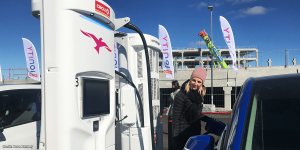 Two years later, the actual product called Chimero delivers up to 160 kW via CCS connection or optionally CHAdeMO and up to 22 kW via type 2. The integrated stationary battery offers 75 kWh of energy and can be refilled with “up to 55 kW and/or from renewable AC energy sources such as wind power or photovoltaic plants,” reads the press release. 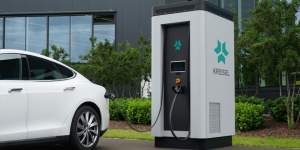 This points to bi-directional charging capability and indeed Kreisel Electric say the EV charging station stabilises the grid but also enables new business models from selling energy. In addition, an optional large display allows extra sales opportunities through advertising. Kreisel Electric was founded in 2014 by the three brothers Johann, Markus and Philipp Kreisel. 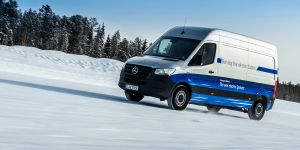 Originally driven by the idea of integrating the electric drive into all areas of mobility, Kreisel Electric develops high-performance batteries. 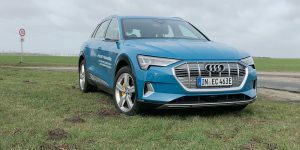 The company’s projects now range from passenger cars, buses and trucks to boats and airplanes and now stationary storage solutions and fast charging stations as well.